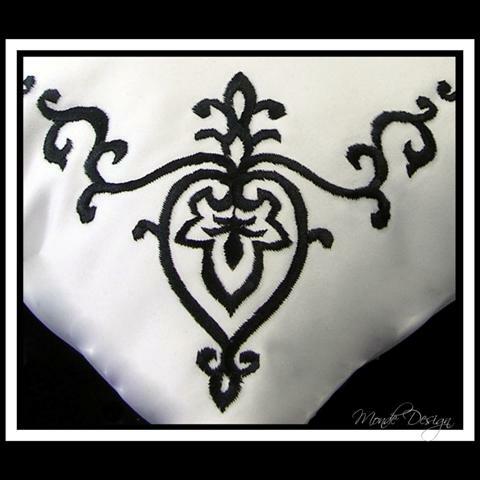 Damask is such an elegant look for weddings. 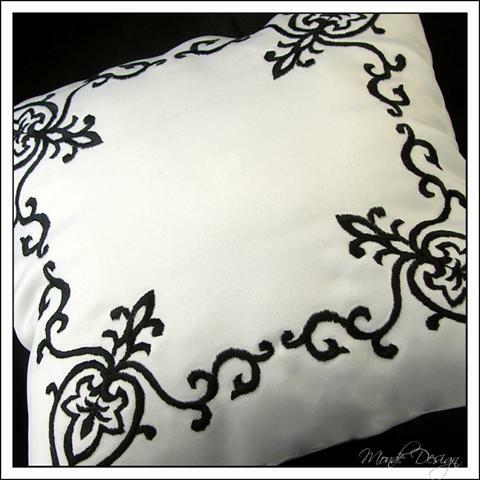 This damask style pillow is made with embroidery on satin fabric. We love the crisp look of the black on white design. However, since we embroider this fabric, the colors can be anything you choose! 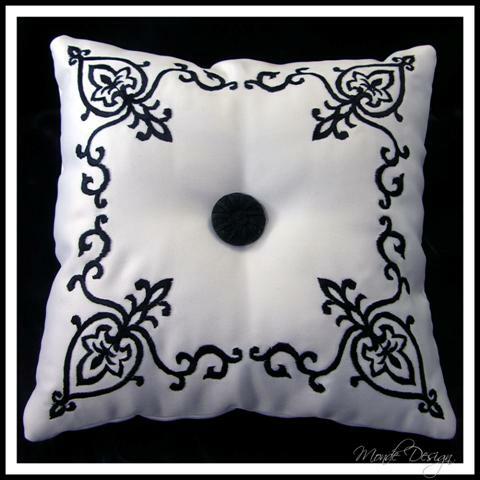 This pillow is done in white satin, with black embroidery. It could just as easily be done in anything from white on white, to red on black, to aqua on brown. The choices are only limited by the colors of satin available, and of course it can be done in other fabrics as well (price may vary for some fabrics). This pillow is approximately 9" X 9", but can be done a bit bigger or smaller since the design is custom. This pillow features a simple black button. The ring ribbon is a very thin ribbon, so as not to distract from the design on the pillow. It can be changed if desired.